The "PE" implies that the material is made from environmental friendly PE and also distinguishes from the most commonly seen PVC material. PE mesh fabric is the company brand name for PESLENE mesh fabric. PE: implies that the material is made from environmental friendly PE and also distinguishes from the most commonly seen PVC material. 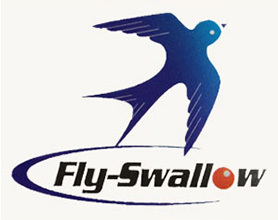 Fly-Swallow is the company brand name for PESLENE mesh fabric. The brand name implies the product to be as dexterous and agile as a swallow. The product has swallow's fast reflexes which will carry and promote the brand to the global market. The first company in Taiwan successfully developing 2000D and 3400D PVC coated polyester yarns for outdoor furniture use, technically more than 15 years ahead of competitors. 1995　Products upgraded to include 1000D and 700D PVC coated polyester yarns mainly for sun shading scroll. 2009　Products upgraded to include 500D and 350D PVC coated polyester yarns. 2012　Successfully developing Sun Screen Fabrics. 2009　Successfully developing 2700D and 1500D PE coated polyester PES yarns. 2010　PES yarn products upgraded to include 850D. 2010　Successfully developing PESlene mesh for outdoor furniture use. 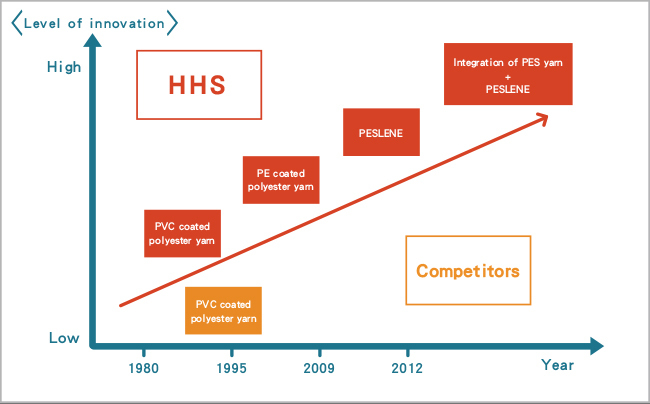 2011　Becoming a vertically integrated supplier of PES yarn and PESlene mesh. 2008　Successfully developing TPE yarns. 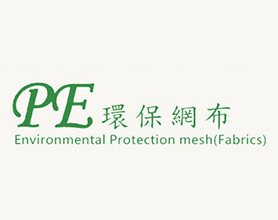 2014　Successfully developing TPE mesh fabrics. First PVC coated polyester yarn manufacturer in Taiwan with globally advanced technology, drawing. famous American retailers and brands to Taiwan for factory visits. 2008　Patent granted for “Structure Improvement of Coated Yarn”, ROC Patent No. M331530. 2009　Subsidy recipient of SBIR Program, MOEA, ROC. 2009　Successful development of PES yarn which is compliant with EU RoHS and REACH standards. 2010　Patent granted for“Yarn Extrusion Coating Process”, ROC Patent No. I332041. 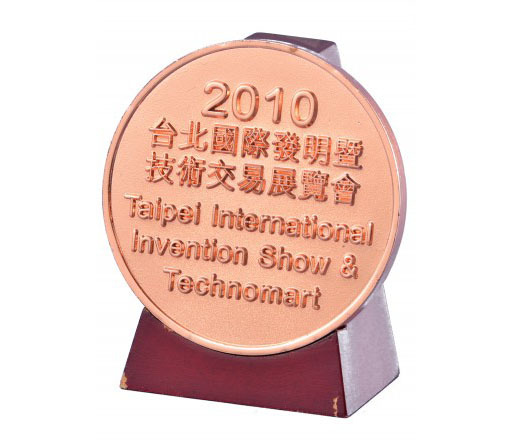 2010　Bronze medal winner of Taipei Invention Award at Taipei International Invention Show & Technomart 2010. 2012　Subsidy recipient of SIIR Program, MOEA, ROC. The PE Table Place Mat has been selected as a merchandise by one of the worldwide indoor furniture chain stores.